"I've been taking both my cars to them for over a year now. I am always pleased with the service and the cost. I live in College Terrace so it is very convenient as well. I recommend this station for auto repairs." Did your DMV renewal notice come in the mail and it’s asking for a smog inspection at a STAR station? No need to panic! All this means is that the DMV has chosen your car to be inspected at a smog station which is monitored closely by the BAR and must conform to high standards established by the Bureau of Automotive Repairs. Palo Alto Shell is A Fully Certified STAR Test & Repair Station! 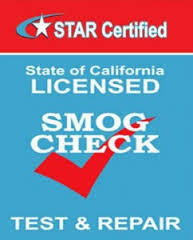 Palo Alto Shell is authorized to perform STAR smog inspections, as well as repair and certify all vehicles. If the DMV is asking for “Smog Certificate Required at a STAR station” come on down to Palo Alto Shell call today for an appointment or make an appointment online. *Additional fee of $10 for all vehicles model year 1995 and older.